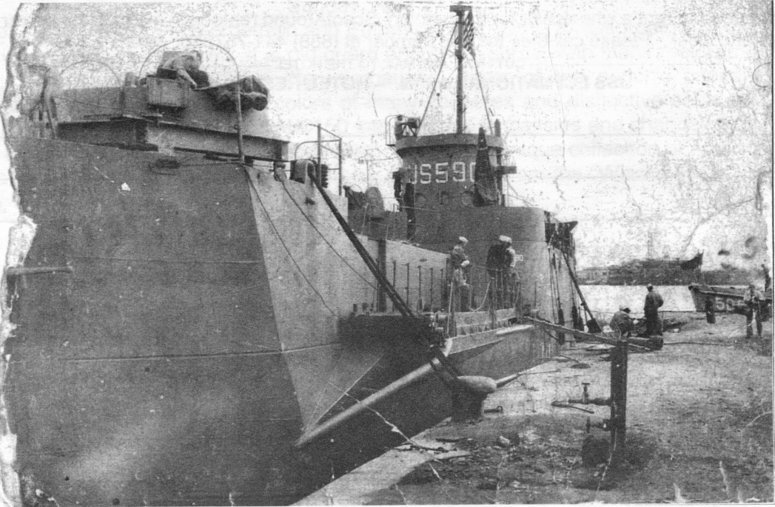 Laid down, 11 March 1944, at New Jersey Shipbuilding Corp., Barber, N.J.
92k USS LCI(L)-590 moored pierside, date and location unknown. A note with the photo states "The picture is a little ragged as I had it in my wallet when we had to abandon her and wade ashore in France." Harry LaJoice.